This is a buck Knife Inlaid with Jet, Malachite, Mother of Pearl and Brass It is signed OY Navajo I bought it in Gallup New Mexico several years ago. This is an old Uncle Henry IR7 USA Schrade All my knives are in theOriginal Sheaths. I've got one of these. For some reason, the S30V blade seems easier to sharpen and touch up than my other blades in that steel. Anyone know what this knife is worth? I bought it I think in 2005, never used it, just stuck it in the safe where it still is today. It's a Cold Steel Black Sable. I hear that China made knockoffs were made on this knife but they were pretty obvious counterfeits. Many of them had company names on the handles. Wondering if I could clean them without damage? You might start off with a bottle of Flitz knife cleaner. You can get it on eBay or amazon and it's fairly priced stuff. It will clean your blades, brass bolsters, stainless steel, etc., getting up any light rust or corrosion. Getting in to the recessed areas of the knife might take small pieces of cloth and cutips soaked in the Flitz. A good knife sharpening kit for the blades would be a good idea and some light oil, like Daiwa reel oil for the pivots would be good to finish up. Be very careful with the blades, if course. Don't get cut. Be patient. Ohyeah, I almost forgot. Use some WD40 or lighter fluid sprayed into the pivot areas to get any gunk out. Keep spraying until it comes out clean. After it all dries, put in a small drop of Daiwa oil. I got a good deal on one of these UZI defender knives some years back. 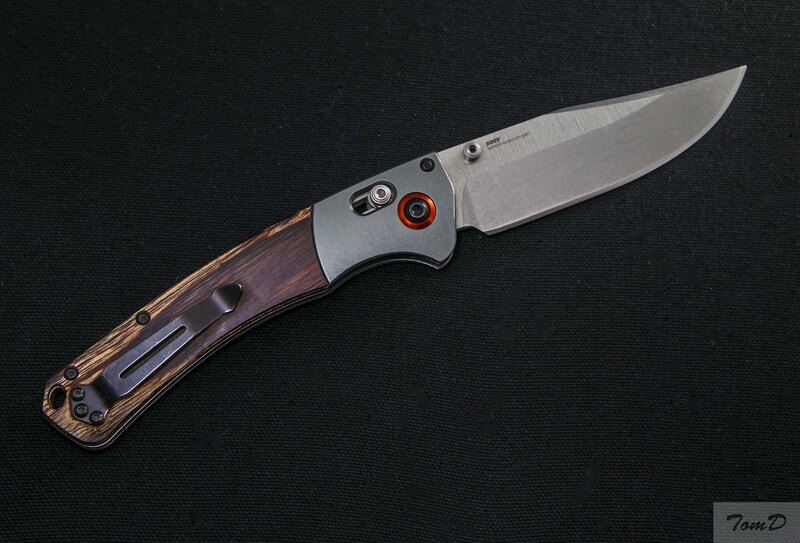 It's my SHTF bugout knife ATM. View attachment 115716 I got a good deal on one of these UZI defender knives some years back. It's my SHTF bugout knife ATM. That ought to do the trick. If your steel is 420, make sure you keep it lightly oiled. I think CS uses a high carbon steel for their knives. Some of those defenders, though are 154 CM. Better steel, but take care of it and it will take care of you, as they say. Love it! Did you make the butcher block by chance? Here's a couple knives I have. The Buck was found by my wife. It had a blue paint gooped on it. Used acetone to remove. The point of this multi blade was busted - probably used to open a paint can?? I used a diamond hone and shaped it. Probably should be 3/16" longer?? The second is an old Case. I used to have a Buck back in the 70's that looked just like it. I don't remember where I got it. Been years. I think I found it as well...? The brass is stained. I don't have the sheath for it. Way to big for a pocket. 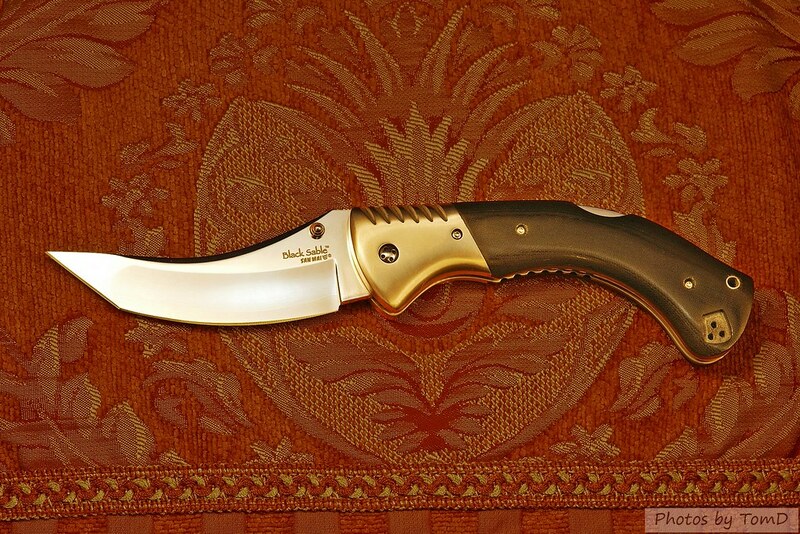 I think if I were going to buy a Buck 110, I would just go for the classic model with brass bolsters and walnut scales and the belt sheath. That is a perfect knife, albeit a bit heavy.